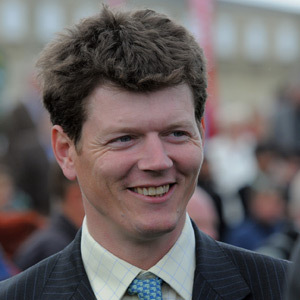 Andrew Balding comes from a family steeped in horseracing. His father Ian had trained the legendary Mill Reef. His uncle Toby Balding was one of the very few to have trained winners of the Grand National, Cheltenham Gold Cup and Champion Hurdle. Another uncle, William Huntingdon, was a successful Flat trainer. His mother, meanwhile, is a breeding expert, his sister Clare a television and radio presenter. And then there was his great-grandfather, Aubrey Hastings, who trained four Grand National winners – one of which he rode himself. Balding spent some of his early years learning the ropes with his uncle Toby – he also acted as amateur jockey for him, winning 20 races. He later became his father’s assistant, running half the famous Kingsclere yard, before taking over on his own in 2003 following his father’s retirement. He enjoyed a dream start, landing the Oaks with Casual Look in his first season. His other major success came courtesy of Phoenix Reach, who won five of 16 starts, including three Group 1 races in Canada, Hong Kong and Dubai, and almost £2 million in prize money. He added another Group 1 in 2013 when Side Glance won the Mackinnon Stakes in Australia. A Southampton fan, he reveres Mick Channon for his football prowess as well as his later exploits as – what else? – a racehorse trainer. Balding had suffered a number of near misses since the Champions Series was initiated in 2011 and finally hit the jackpot in the 2017 Qatar Sussex Stakes through Here Comes When, ridden by Jim Crowley. The following month he struck again, with Montaly winning the Lonsdale Cup at York.